In a July 1884 report, Makalua received a "Good" for General Conduct, Divinity, German, Euclid, History, and Declamation. 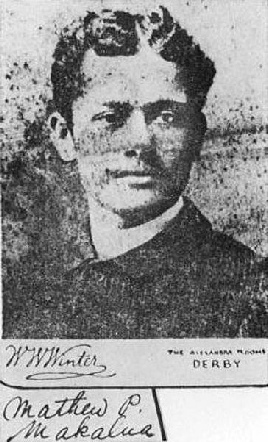 Makalua was summoned home by the "Reform Cabinet", but in November of 1887, Manley Hopkins wrote the Hawaiian government asking that Makalua be allowed to finish his training, explaining that if he returned to Hawaii now all would be lost. Makalua and several of his instructors also wrote asking permission for him to finish medical school. On January 14, 1888, the London Consulate acknowledged receipt of a telegram advising them that Makalua should remain in London until completing his studies. Mathew thanked the Hawaiian government and told them he would probably earn his diploma in July of 1890. A popular and highly esteemed member of the medical profession, Mr. Matthew P. Makalua died on Tuesday at 30 Warrior Square. He was noted for his philanthropy, and both he and his wife, who died 14 months ago, were intensely interested in all work for the poor. Dr Makalua was the originator of the scheme for the Druids' Tinfoil Cot in the Royal East Sussex Hospital, and he watched with enthusiasm the healthy growth of the tinfoil fund. He was medical officer of the L.G.O.C. (London General Omnibus Company) Convalescent home, Caple-ne-Ferne, where his popularity was great. Mrs. Anne Clementina Makalua, wife of Dr. Matthew M. Makalna, of 37, Pevensey-road, St. Leonards, died on Sunday. The funeral was on Wednesday, requeim mass being celebrated at the Church of St. Thomas of Canterbury. 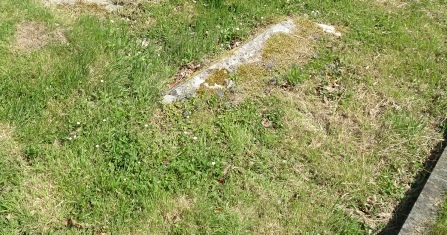 The interment was the Borough Cemetery, the Rev. Canon Segesser and Father Le Warne officiating. By request, there were no flowers, but a few were sent by relatives and intimate friends. The mourners were: Dr. Makalua and son, daughter-in-law. sisters and brothers, etc. The whole of the funeral arrangements were admirably conducted by Mr. Arthur C. Towner, 25 and 69, Norman-road, St. Leonards.